Explore some of our favorite MTB Trails and then book a trail shuttle with Sun Valley Mountain Guides and we’ll take you there! This drop offers an 8 mile Harriman Trail to the SNRA (8 miles north of Ketchum) experience. The Harriman Trail is an easy gravel path with minimal climbing and great views of The Big Wood River and Boulder Mountains. Pick-ups can be arranged at the SNRA for $15 per person (4 people minimum) or ride the 8 miles of pavement back to town. Baker Creek Road is also a good place to start some longer point to point routes via the East Fork of Baker Creek Road and Oregon Gulch or Fox Peak Trails. Each route is long and strenuous but rewarded by great views with excellent advanced to expert single track descents. See East Fork of Baker Creek Road for more details. Osbergs Ridge was rerouted in the summer of 2012 and now offers an approximately 26 mile high elevation ridge ride back to Ketchum. Aerobically strenuous (previously abusive) and for advanced riders or those with strong map reading skills. Carrying a map is a must. Recommended Route is tr.147- tr. 142- tr. 323- Ketchum. Lost Shirt to Castle Creek to Frenchman’s Hot Springs (or Ketchum) has many elements of a remote epic ride (like spectacular views and remote terrain elements) without the grueling distance. For Advanced Riders or stronger, this ride is aerobiacally Moderate- Strenuous and requires map reading and sometimes route finding skills. The technical part of the ride (upper descent) is approx. 3 miles long. Recommended Route- tr. 147- tr. 140- rd. 227 (east). Total Distance to Frenchman’s Hot Springs is approx. 13.5 miles. 25.5 miles to Ketchum. The East Fork of Baker Creek Road Turn Off is a good place to start some longer point to point routes via Oregon Gulch or Fox Peak Trail. Each route is long and strenuous with numerous variations available, (Map strongly recommended) but each is rewarded by great views with excellent advanced to expert single track descents. Rd. 168- tr. 183- tr. 326- tr. 149- Ketchum. Total Distance- approx. 20 miles. Rd. 168- tr. 938- tr. 142- tr 323- Ketchum. Total Distance- approx. 22 miles. A 12 mile, primarily downhill ride, to the SNRA via The Harriman Trail could be an option for the Novice Rider or Family Group. Pick-ups can be arranged at the SNRA for an additional fee (4 person minimum) or ride the 8 miles of pavement back to town. Oregon Gulch (tr. 183), 1.5 mile up the road (rd. 168) from ‘the drop’ and holds numerous quality options, each requiring advanced or better riding skills and moderate- strenuous aerobic exertion. Map strongly recommended. Our recommended route is rd. 168- tr. 183- tr. 326- tr. 149- Ketchum. Total riding distance is approx. 15 miles. For a shorter primarily descending ride, a pick-up at Oregon Gulch TH could be arranged for an additional fee (4 person minimum). Or jump on the highway and ride the 7 miles of pavement down to Ketchum. Fox Peak Trail (tr. 938) starts 3.2 miles up the road (Rd. 168) from ‘the drop’ and offers two routes for advanced or better riders. Map Strongly Recommended. Our recommended route is aerobically strenuous and is Rd. 168 tr. 938- tr. 142- tr. 323- Ketchum. Total distance approx. 16 miles. Our second choice route is aerobically Moderate+ and is Rd. 168- tr. 938- tr. 142- tr. 177- tr. 146- Ketchum. Total distance is approx. 14 miles. Warm Springs Ridge is a spectacular option for expert riders with route finding skills, and looking for an epic (4-9 hours) ride. Recommended route- Rd. 168- tr. 938- tr. 142 (west) – tr. 140- Rd. 227 (east) – Frenchman’s Hot springs or Ketchum. Total Distance approx. 40 miles to Ketchum and 28 miles to Frenchman’s Hot Springs. The Harriman Trail is the primary reason for this drop. The Harriman Trail is an easy 18 mile gravel path with minimal climbing and great views of The Big Wood River and Boulder Mountains. Shorter Harriman Rides start at Prairie Creek Road and Baker Creek Road. Pick-ups can be arranged at the SNRA for an additional fee (4 person minimum) or ride the 8 miles of pavement back to town. Galena Lodge offers great food and beverages as well as a network of quality single-track and double-track riding. The easiest way to accomplish the Greenhorn to Warm Springs connection is Lodgepole to Red Warrior or tr. 821- tr.310- tr. 152- rd. 227 (east). This ride is aerobically moderate to strenuous and technically intermediate to advanced. Map strongly recommended. Total Distance 10.5 miles to Frenchman’s Hot Springs or 22.5 miles to Ketchum. The mini-epic option climbs Greenhorn Gulch, over Mars Ridge and descends Warfield. This route is aerobically strenuous to abusive (2700 ft. climbing) and is for technically advanced to expert riders. Map strongly recommended. Follow Tr. 156- tr. 120.- tr. 151. Rd. 227 (east). Total distance is approx. 16 miles to Frenchman’s Hot Springs and approx. 28 miles to Ketchum. Tr. 326- tr. 312- tr.149- Ketchum (Saddle – Chocolate – Fox) – Distance approx. 9 miles. This drop offers a shorter (11 mile) Harriman Trail to the SNRA (8 miles north of Ketchum) experience. The Harriman Trail is an easy gravel path with minimal climbing and great views of The Big Wood River and Boulder Mountains. Pick-ups can be arranged at the SNRA for an additional fee (4 person minimum) or ride the 8 miles of pavement back to town. This drop facilitates an aerobically easy- moderate ride back to Ketchum with a gravel road (Corral Creek Rd. 137) start and a great piece of smooth single track (Corral Creek tr. 325) as the highlight. 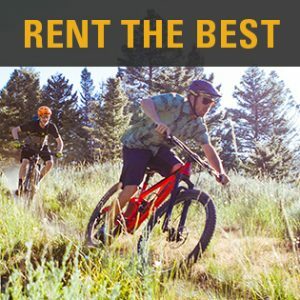 It is fun for intermediate to expert riders and is a nice trail to introduce singletrack to the novice mountain biker with a few double track rides under their belt. Total Distance is approx. 7 miles back to Ketchum with a 1000 foot vertical drop. If preferred, we can simply drop at Corral Creek Trail for the same price. In addition to the friendly Corral Creek, this drop takes the boring part out of one of our favorite Epics, Pioneer (tr. 122)- Johnstone (tr. 206)- Bear/ Parker (tr. 121). 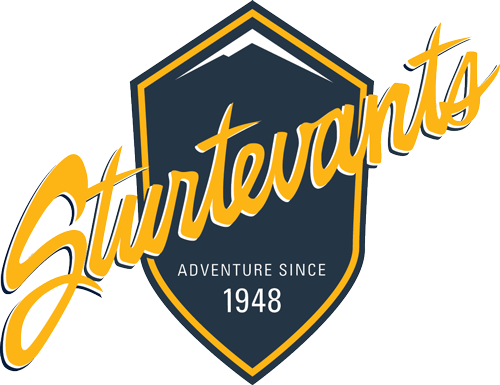 This ride takes you over two high elevation passes, and includes 4000 feet of climbing with spectacular views and quality trails for the adventure rider. Pick-ups can be facilitated at Johnstone or Hyndman Creek TH’s as well for an additional fee (4 person minimum). A great point to point for hikers who may choose Hyndman Creek over Johnstone.